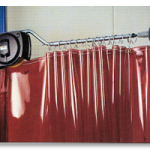 Clean Room Curtains are used to isolate clean zones with no build up of static electricity in the Vinyl. 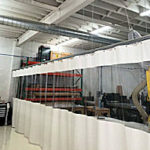 Our clean room curtains come in clear, black, white, and tinted colors depending on your preference. 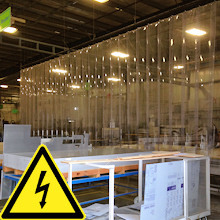 All of the clean room plastic curtains show resistivity of 1.8 x 1010 ohm /cm (ambient 50% R.H.) per ASTM D257. 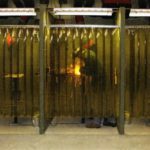 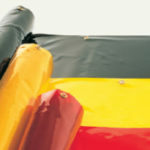 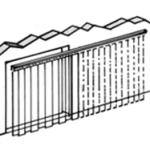 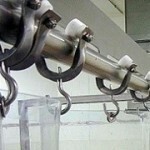 This rating makes the static dissipative curtains ideal for the most stringent applications. 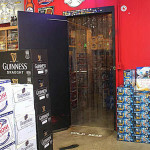 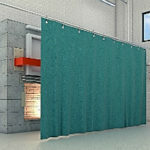 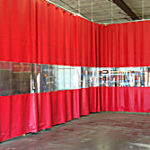 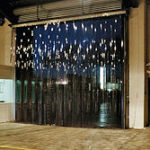 Strip curtains allow access into and out of the enclosed area quickly without the need to push back curtains. 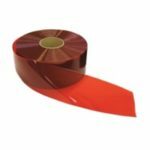 The strips are most often times clear to allow a line of sight but are also offered in other colors for areas that should be kept private. 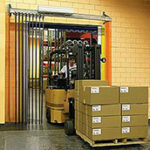 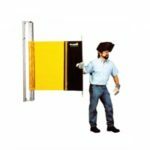 The clean room strip door curtains are overlapped to ensure the environment maintains separated. 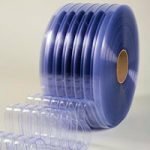 If the strips are all you require without the hardware then simply purchase the clean room bulk rolls. 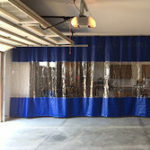 You can create your clean room enclosures by hanging the strips with your own hardware. 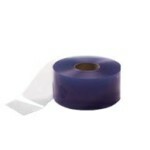 Also available in clear, white, black, amber tinted, and frosted ESD. 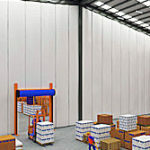 From small to very large the curtain walls divide up entire walls. 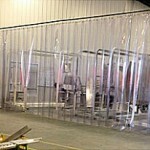 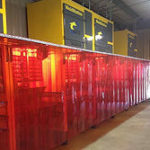 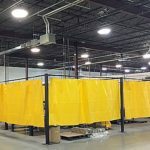 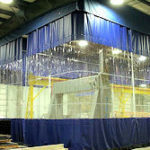 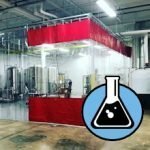 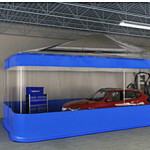 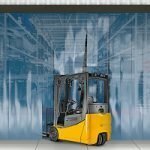 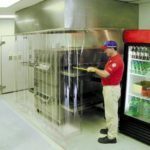 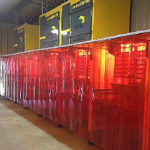 You can divide a small enclosure or an entire warehouse for static sensitive processes. 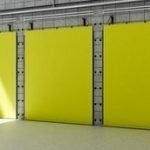 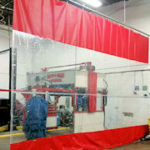 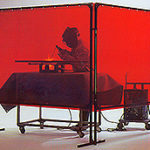 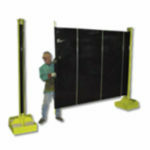 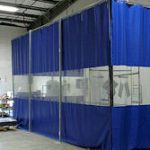 ESD clean room curtains are quick to install and a fraction of the cost of static walls. 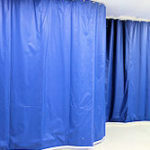 The curtains have grommets on 12″ centers for easy hanging. 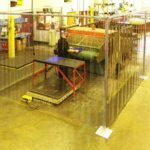 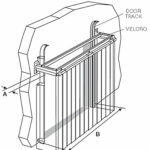 ESD Grid Curtains are a 14mil thick Vinyl which is extruded over a static dissipating steel mesh which is then grounded via copper tape. 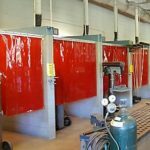 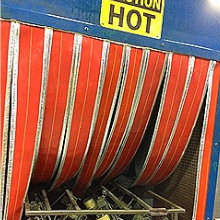 The rolls come in 54″ width but can be heat welded together to form entire walls. 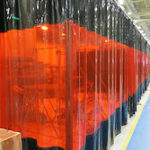 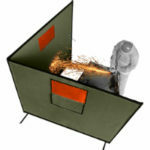 The material is clear and allows for a clear line of sight through them.